Today my husband’s blood sugar got to a low of 58. His mental status was altered. He was not himself. He became agitated and angry. I have seen his sugar low many times before but never with the mental status of today. I was very very scared. Our 15 yrs. old daughter says she has seen him like that before. One time they were at the drugstore and he was acting like a war vet. He has never seen war. It really scared our son and me. We ended up calling 911. After about 15 minutes or so he was back to himself. I am sorry to hear that you and your children are in such difficult situation. It is true that older people with uncontrolled diabetes have more chances to act as your husband did. In fact, in a study of Ohio university, presented in the annual meeting in Honolulu, it was included diabetics 60 years and older. It came out that those who had poorly controlled their disease were more prone to such mental disorders (called cognitive disorders, such as dementia) than other diabetics. The crucial factor contributing in such alteration was a “Badly Controlled Diabetes”. 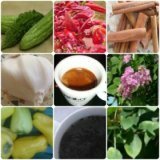 Therefore, the scientists strongly suggest diabetics to better control as dementia or other mental alterations cannot be controlled, however, diabetes is controllable. So, as I can see from your saying, your husband is passing too often into a hypoglycemic status. Other times, perhaps his blood sugar will raise peak. Therefore, you should help him adjust his current glycemic situation. 1. Measure his blood sugar many times during the day for up to a week. Record the findings to present to his doctor. It is important to get a blood sugar test when your husband mental status is altered to better understand his sugar levels changes. 2. Talk to his doctor about the current situation of your husband. Present to him your husband’s sugar records to evaluate if he needs some adjustment in his shots (less I believe). 3. Ask your husband to have regular meals, especially when it is time for his shots. Make him understand that skipping meals will not help reduce blood glucose. 4. Discuss with his doctor what precautions you should take when your husband’s turns out altered. This is to protect you and your children in case of raised aggressiveness. 5. With regards to what your husband said to a local drugstore, do not worry. Sometimes, children do not understand why we talk in an unusual way. Sometimes, we, adults, love to make funny of others, therefore, we can “make-up” many untrue stories. So, Tracy, at the end, the very best thing you can do is to talk to his doctor as he/she is the only one who can evaluate your husband’s current health status. To me, this is all I can help. Is grandpa really going insane? What are the personality changes in diabetics? 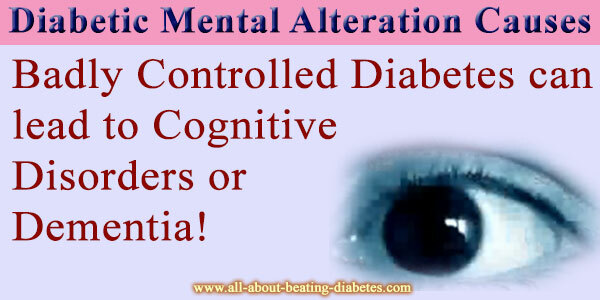 Are changes in mental state a side effect of diabetes? How dangerous are sugar levels at a very low bottom?